A handy reference with plenty of nuggets of advice gold for home engineering enthusiasts. An introduction to the lathe covering basic techniques through to more ambitious projects. A guide on making useful small workshop tools from waste materials. 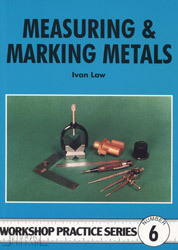 An amateurs guide to the measuring and marking of metals for model engineering work. 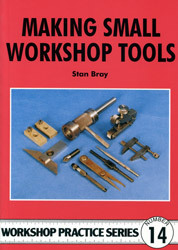 A useful guide to metalwork for beginners with plenty of tips from experts. An introduction to the the milling machine for the beginner. An introduction to milling in the lathe for the amateur working in the home workshop. 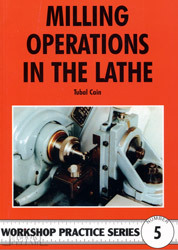 This handy guide to the mini lathe provides a series of projects to extend the model engineers skills on this important piece of equipment. 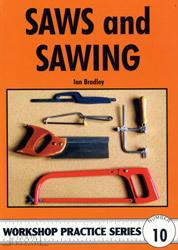 A detailed guide to the usage and maintenance of saws of all types that can save the user many hours of wasted effort. 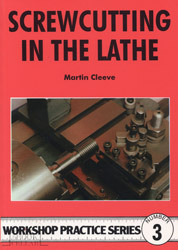 Screwcutting in the Lathe, by Martin Cleeve, Workshop Practice Series Book 3, new.